By using an interface, it is possible to export the RFEM/RSTAB printout report to VCmaster and continue editing there. VCmaster is a word processing program for engineers. 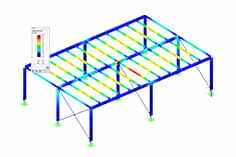 The output of structural analysis and CAD programs, specialized information, standards and manufacturer's specifications can be easily exported, arranged, managed and reused with VCmaster. Building on the Export to VCmaster where the procedure of exporting the printout report from RFEM/RSTAB to VCmaster has been already explained, more functions of VCmaster will be shown in the following. 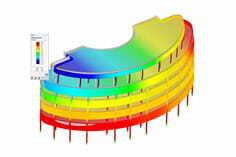 VCmaster contains numerous templates for calculations. They offer solutions for details and individual designs in the fields of timber, concrete, composite structures, foundation engineering and masonry as well as mechanical and plant engineering. It is, for example, possible to add detail checks (e.g. connections) to the RFEM/RSTAB calculations. Via "Insert" → "Template Explorer", the saved template is selected and then exported to VCmaster. A dialog opens where all input data are requested. With the function "Check document", it is possible to search for unfulfilled designs. If a design is unfulfilled or if entries have to be changed, it can be adapted later. All templates can be extended, combined and adapted to individual requirements. User-defined templates can be added quickly and easily via "File" → "Template manager". With VCmaster, it is thus possible to create and document different data smoothly and rapidly.